SEPTA passengers will be able to use their Key cards to pay for fares on Regional Rail lines later this year – if all goes according to plan. The expansion of SEPTA's electronic payment system is among several upgrades expected to hit Regional Rail in the coming years. New locomotives, multi-level passenger cars and extension of the Media/Elwyn line are all underway. SEPTA officials detailed a series of projects planned throughout the transit system Wednesday at a pair of public forums. The meetings covered the authority's 2019 fiscal year capital budget and the progress being made on its 12-year capital program, dubbed "Rebuilding the System." The expansion of the SEPTA Key – which has replaced tokens on subways, trolleys and buses –will be among the first upgrades Regional Rail passengers will experience. SEPTA is preparing to install the equipment necessary to utilize Key cards on Regional Rail lines, which accommodates about 130,000 trips every weekday. 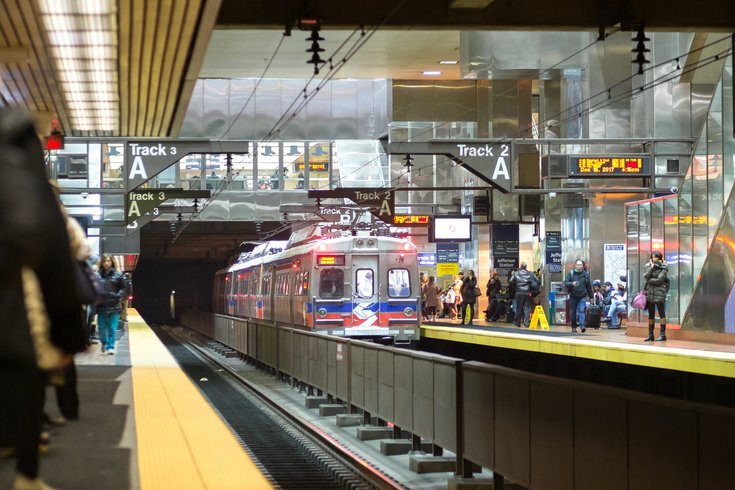 "We don't have a kickoff date for when Regional Rail customers will start using it, but we expect some testing by the spring," SEPTA spokesman Andrew Busch said. "We're still working on getting turnstiles in at the major Center City hubs. That's a big thing people are going to see in the coming year – getting more toward full implementation of the SEPTA Key on the system." Annual ridership on SEPTA's Regional Rail service has sat around 35 million trips in each of the last three years, Busch said. That's a 50 percent increase from 1999. To accommodate a growing ridership, SEPTA has ordered 45 multi-level coach cars to be added to the system. The cars will be manufactured by a CRRC at a facility near Boston. But SEPTA is at least a year away from receiving its first multi-level passenger car. "That will help greatly with efforts to expand our capacity," Busch said. "That's the big need on Regional Rail – more space for a growing ridership." But SEPTA will begin receiving a shipment of 15 electric locomotives sometime this spring. Those locomotives will replace an outdated fleet. "I don't know if they'll all be in this calendar year, but we'll definitely start accepting them in the spring," Busch said. "We'll start getting them out into the system and retire the current electric locomotives. ... That will be a much more efficient operation with all of these locomotives." Additionally, SEPTA is working to restore service on the Media/Elwyn line to Wawa, Delaware County, which has not had a functioning rail service since SEPTA gained control of the line in the 1980s. Restoring service will be a four-year project, Busch said. "We're getting ready to do the infrastructure part of that, getting the tracks down," Busch said. "That's one thing we expect to make some progress on in the coming year." Elsewhere on the transit system, SEPTA will continue to phase out tokens on subways, trolleys and buses by scaling back sales at the cashier's booths and removing token machines from transit stations. SEPTA also will debut 25 electric buses to run on Routes 29 and 79 within the next fiscal year. The transit authority has a number of hybrid buses operating within the system. But these will mark the first completely electric buses. "We're all pretty excited about that," Busch said. "That's going to be our first opportunity to use all electric vehicles on the roads." SEPTA will accept public comment on the 2019 capital budget at a series of public hearings slated to begin in April.